Prices are per group. 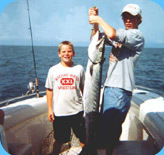 All Charters are provided exclusively for your group. 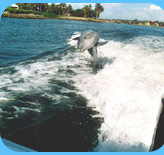 We do not mix parties so that we can customize the trip to your satisfaction. All prices are the same per boat regardless of how many people are in the group. Your credit card will be charged the full amount at the time of booking. This will reserve your charter on the requested date and time. Gratuity is not included in the package price. A customary gratuity for the Captain is 15-20% of the total bill. On all third party bookings there will be a 15% gratuity added to the total price.